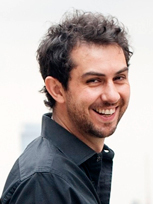 Daniel is a leading expert in Artificial Intelligence (AI) and Emerging technologies. He's the CEO of Satalia, a global company that provides AI inspired solutions to solve industries hardest problems, and he is also the Director of UCL’s Business Analytics MSc, applying AI to solve business and social problems. 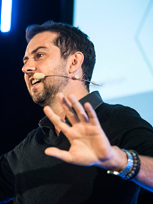 Daniel is a popular keynote speaker specialising in the topics of Artificial Intelligence, Ethics, Philosophy, Technology, Innovation, Purpose, Decentralization and Organisational Design. He is a serial speaker for Google and TEDx, and is a faculty member of Singularity University. Daniel has advisory and executive positions across companies and governments. He holds an international Kauffman Global Entrepreneur Scholarship and actively promotes purposeful entrepreneurship and technology innovation across the globe.